My 2012 USA west coast holiday began in San Francisco, California. This photo set contains all the highlights of my time spent there walking around the city. Selected San Francisco photo highlights are explained as a travel diary / journal below. General Motors illegal systematic destruction of the US public transport system during the early and mid 20th century was part of a larger strategy to push the United States into automobile dependency. 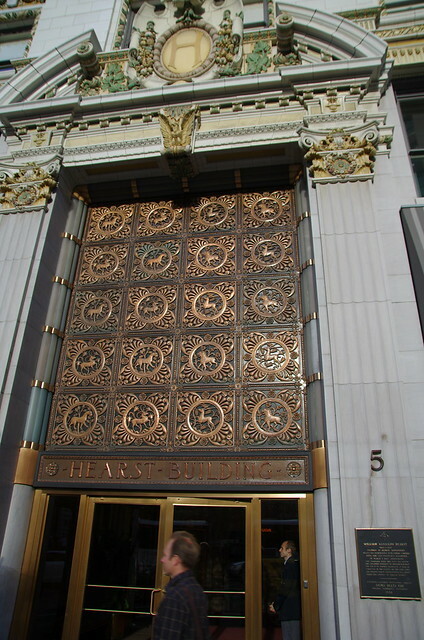 William Randolph Hearst, founder of the Hearst Newspapers media empire (the Rupert Murdoch of his day) began his career at the San Francisco Examiner building (Third and Market streets) on March 4 1887. I use Hearst as an example of how huge media empires tend to weaken, lose influence and fragment after the founder passes away. One of my friends commented when they saw the photo that Hearst was “one of the most toxic of the moguls America ever gave us and likely an inspiration for the yellow journalism in which Murdoch’s publications engage”. 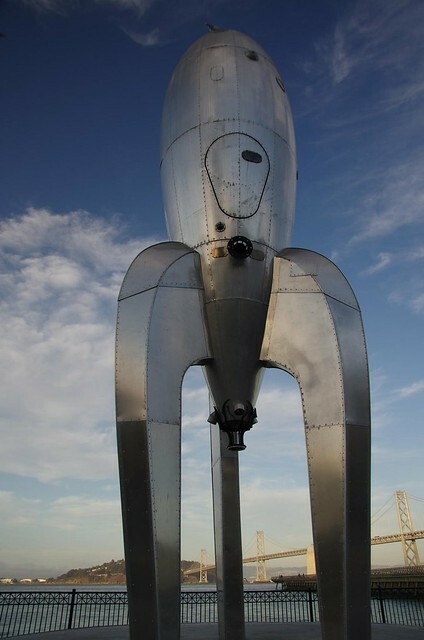 This 40 ft high Raygun Retro Rocketship art is located at Pier 14, Ferry Wharf with the San Francisco-Oakland Bay Bridge in the background. It imagines a world where we could travel to distant lands in the solar system by rocket. The pier to the right of the rocket ship is a good place to see the skyline eg: the Transamerica Pyramid (tallest skyscraper in San Francisco) surrounded by fog at sunset. 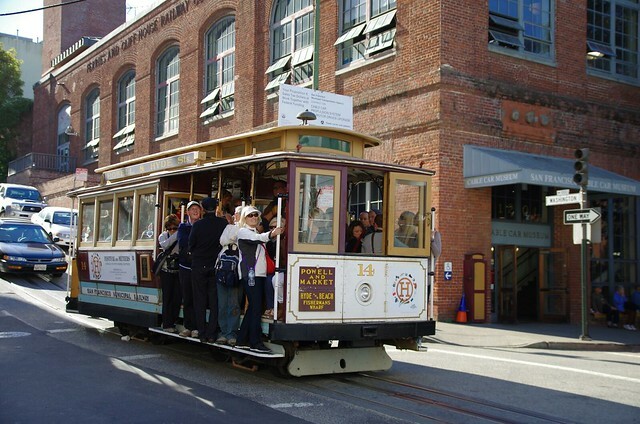 Visit the free Cable Car Museum (donation requested) to learn about their history and how the few remaining services work at transporting people through the steep streets of San Francisco. 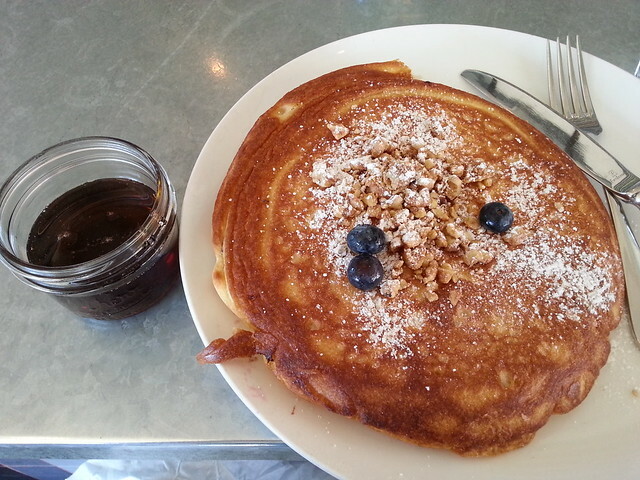 I stayed in the SOMA (South of Market Area) of San Francisco and recommend using Whole Foods as your supermarket and try breakfast at the Citizens Band diner at 1198 Folsom Street. If you like chocolate visit the Ghirardelli Chocolate Factory, definitely the best chocolate in the USA. That said, look at the competition. Oh dear. Generally the serving sizes for meals in the USA are too much. I compensated by often only eating 2 meals a day, brunch and dinner. 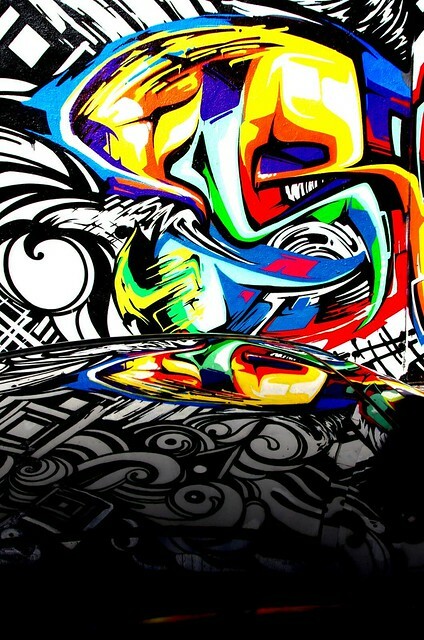 San Francisco has a lot of street art. 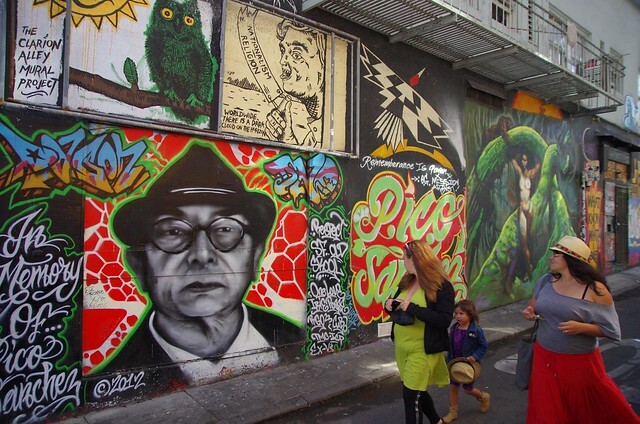 One famous area is the Clarion Alley Mural Streetart project in the Mission district. However there is also art in many other less famous streets, walk around and who knows what you’ll find like this colourful art which happened to be reflecting onto a car with glossy black paint parked under it. 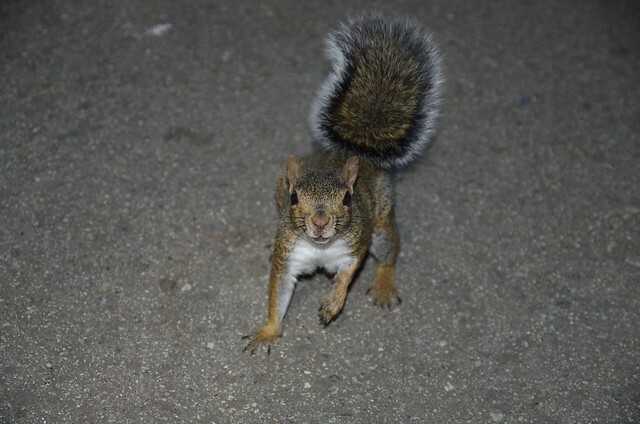 If you encounter a hyper active squirrel in one of San Francisco’s parks don’t be afraid. The Centre for Disease Control says squirrels “are almost never found to be infected with rabies and have not been known to cause rabies among humans”. The California Academy of Sciences is the only place on the planet with an aquarium, a planetarium, earthquake exhibit, a natural history museum, and a 4-story rainforest with butterflies. I suggest visiting there for a least 1/2 a day. 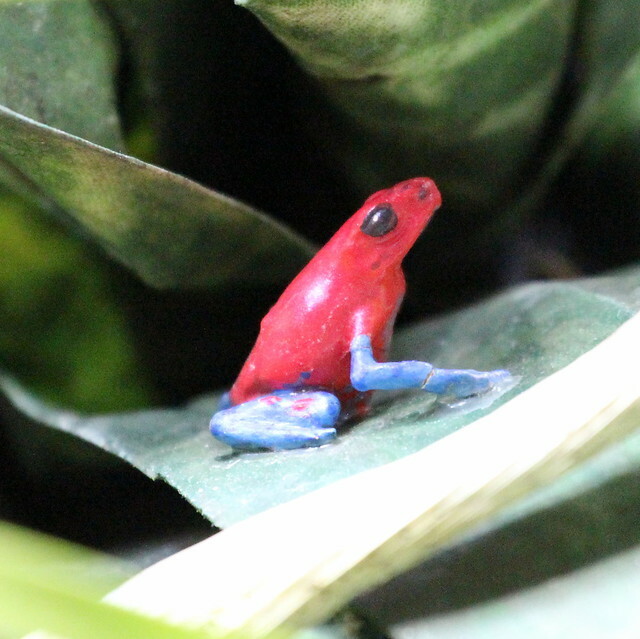 Keep an eye out for the teeny tiny Strawberry Poison Dart Frogs in the rainforest. 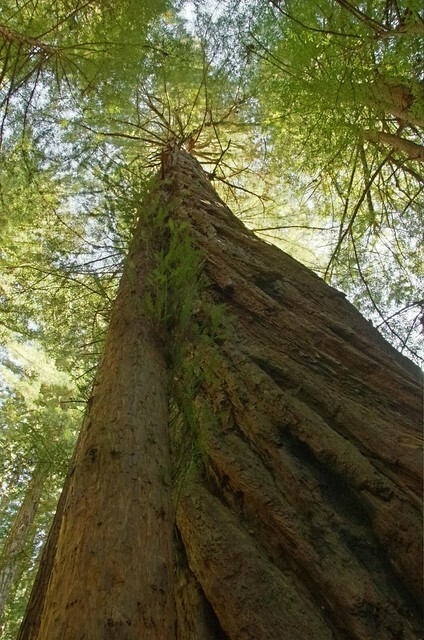 I bought a ticket for the San Francisco Shuttle tours 1/2 day to Muir Woods National Monument. Starting at the ferry building their bus drives you to Marin Headlands where you can see the whole Golden Gate Bridge, then onto Muir Woods to see the old growth Coast Redwood (Sequoia sempervirens) forest, quick stop at Muir beach and then an included ferry ride from Sausalito back across the Bay to the Ferry Terminal. 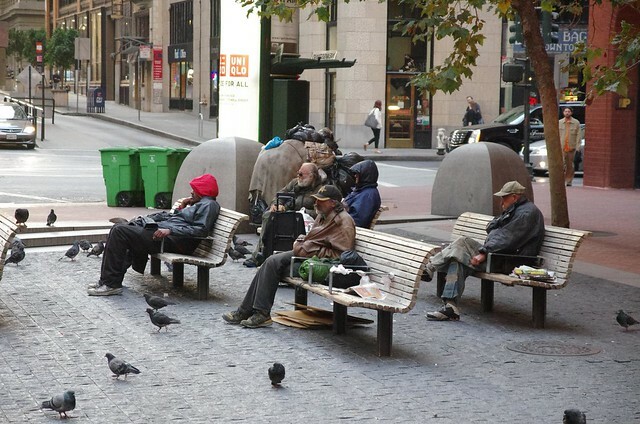 Australians may be surprised to see that San Francisco has a lot of homeless people all over the city. America has a much weaker social safety net than we do for people who are poor, with mental problems, big medical issues etc and these people often end up living on the streets. 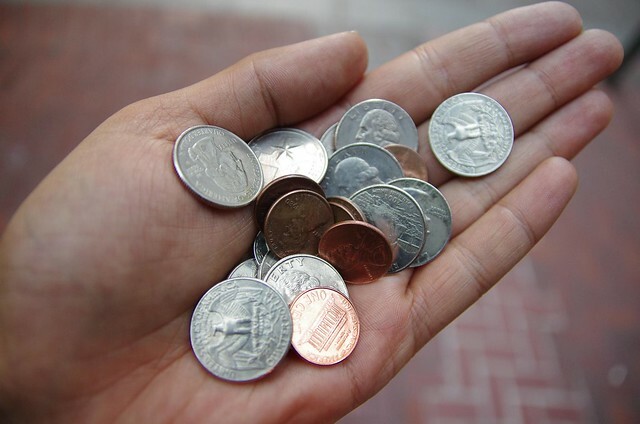 You’re likely to accumulate a lot of change in heavy coins from your purchases, I suggest giving it away to the homeless people. Your USA holiday will cost you thousands of dollars including airfare so it will not make any real difference to your finances if you give away the coin change so some homeless person can afford a meal. It feels weird to leave a tip after a meal in the USA since it’s not standard practice for Australia. I gave 20% for good service and food because Americans who work in hospitality industry get paid poorly per hour and need tips to survive. 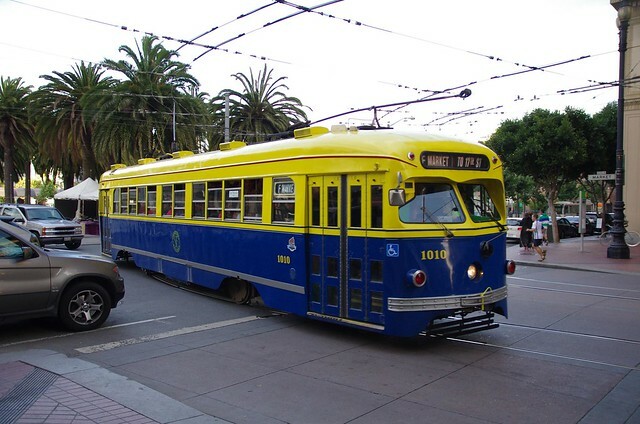 Great Sound about San Francisco, These are most amazing & beautiful pictures of San Francisco! I have never seen this kind of amazing collection ! hat’s off for this superb work….